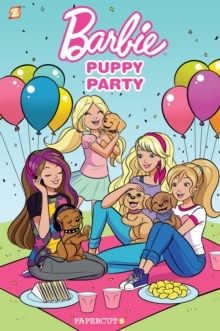 Barbie and her sisters, Chelsea, Stacie, and Skipper, along with their puppies, Taffy, DJ, Honey, and Rookie, are invited to a prestigious Dog Show in the big city. The Dog Show is trying to change its elitest image by inviting all types of dogs to enter-not just purebreds. But something funny is going on at the Dog Show as one contestant after another starts to mysteriously disappear. But just to make matters even more complicated-Taffy, DJ, Honey, and Rookie wind up getting lost in the city. 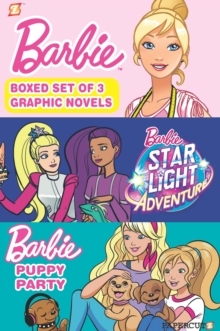 Will Barbie and her sisters be reunited with their puppies?